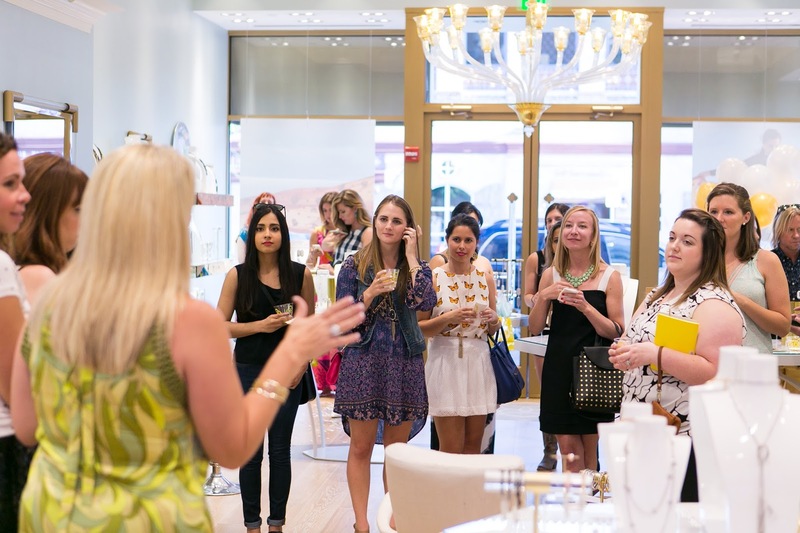 I'm so sad to see summer go, but I left KC happy with new jewelry and friends (what a great combination). 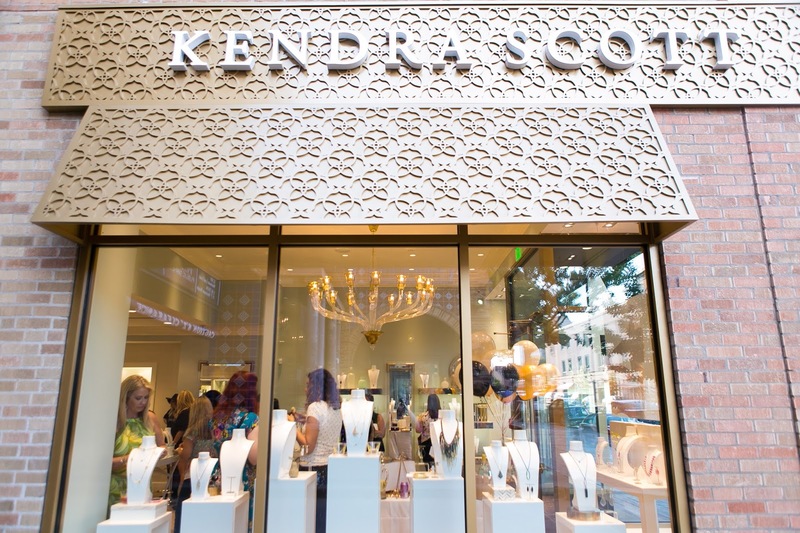 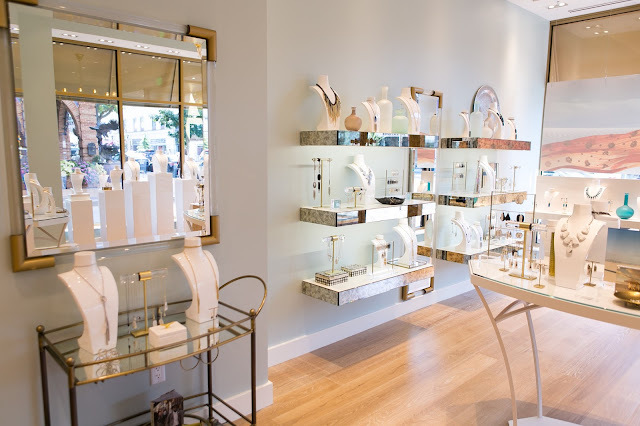 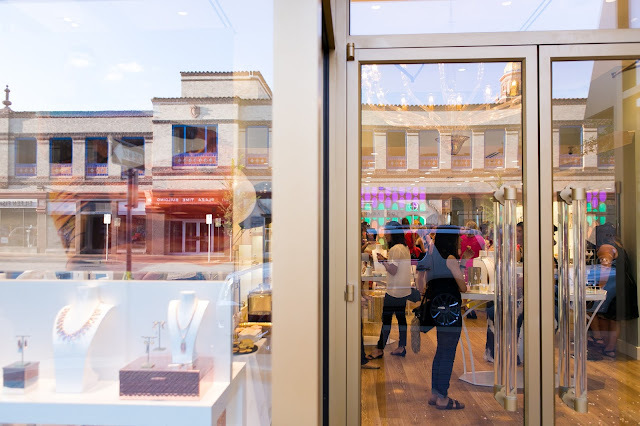 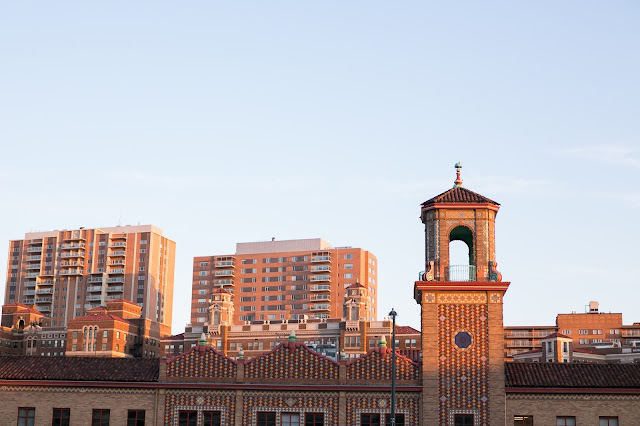 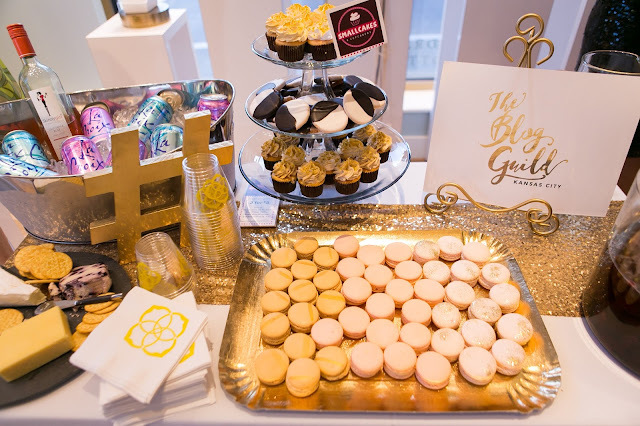 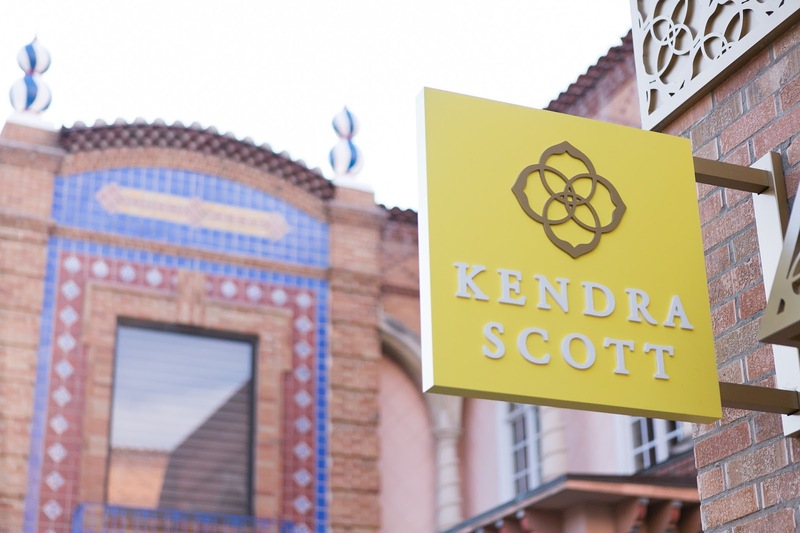 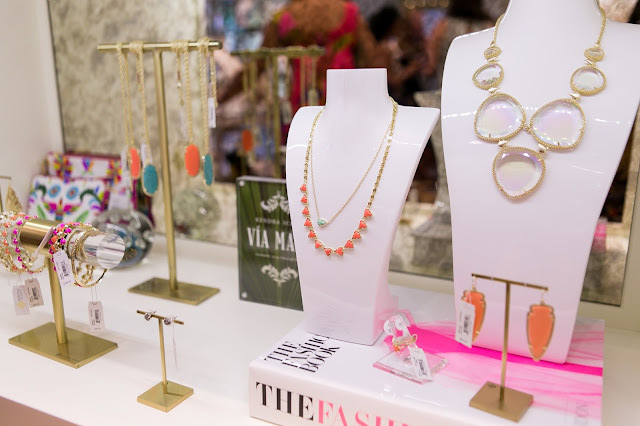 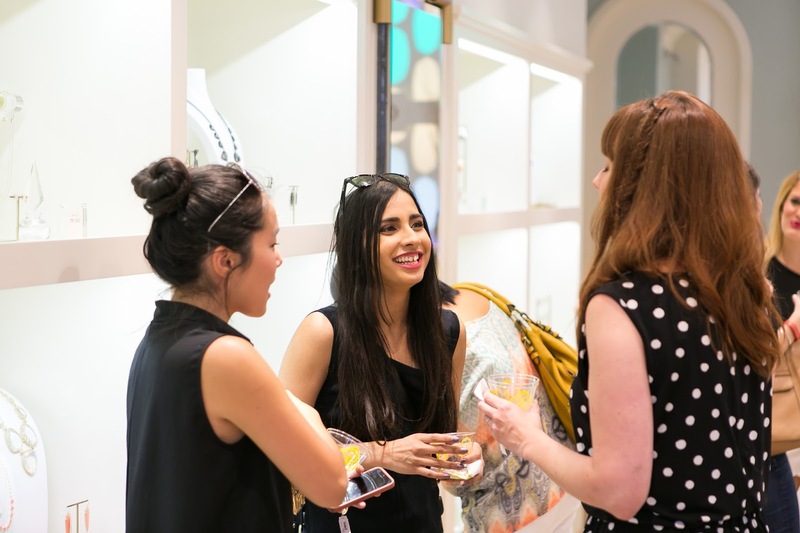 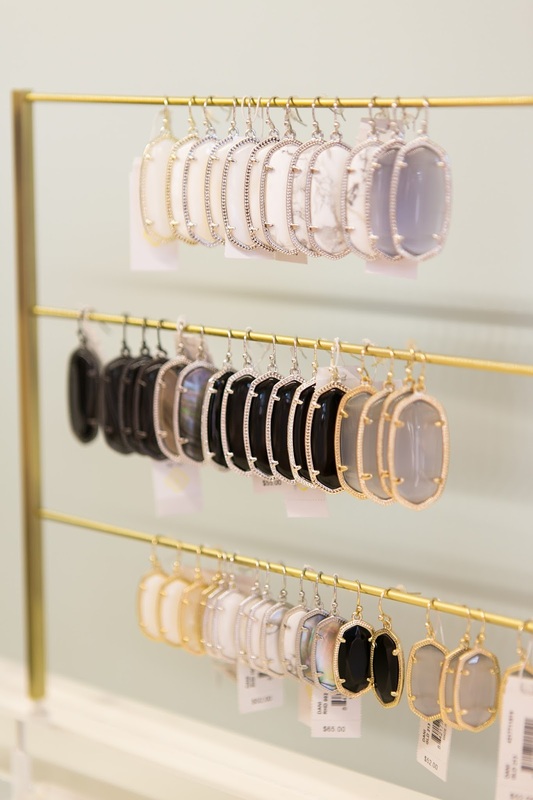 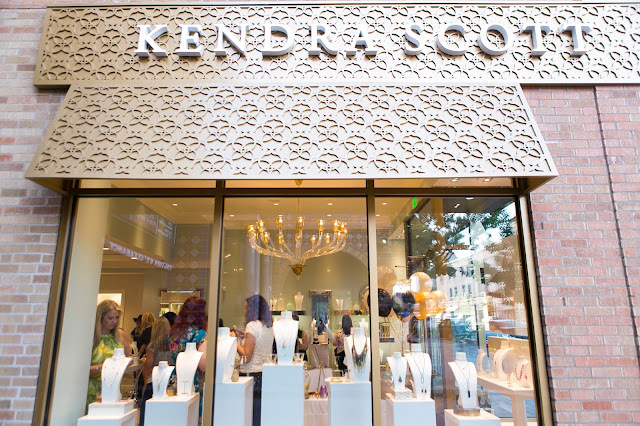 I recently went to the opening of Kendra Scott on the Country Club Plaza, and it was a BLAST! 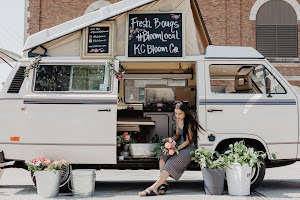 I am lucky to be apart of the Blog Guild (formerly known as Kansas City Blogger Meetup) aka a group of gnarly Kansas City bloggers. 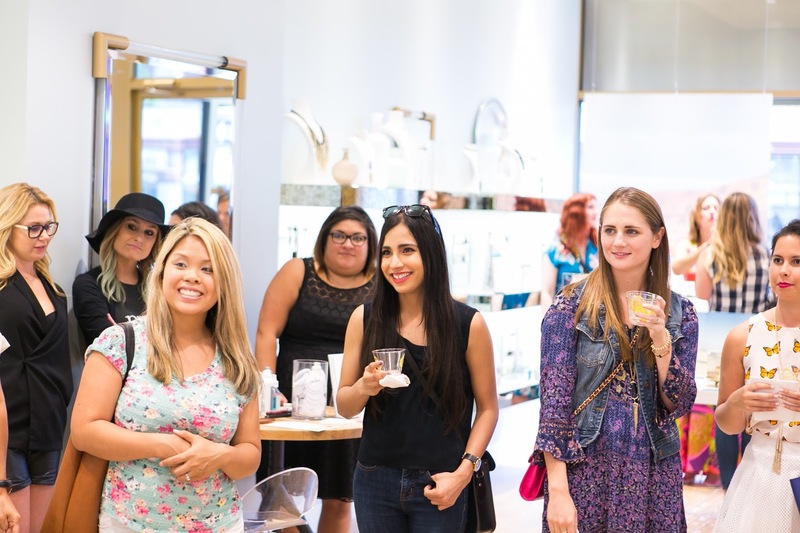 Amongst the bloggers there are a few who specifically moderate and host these meet ups. 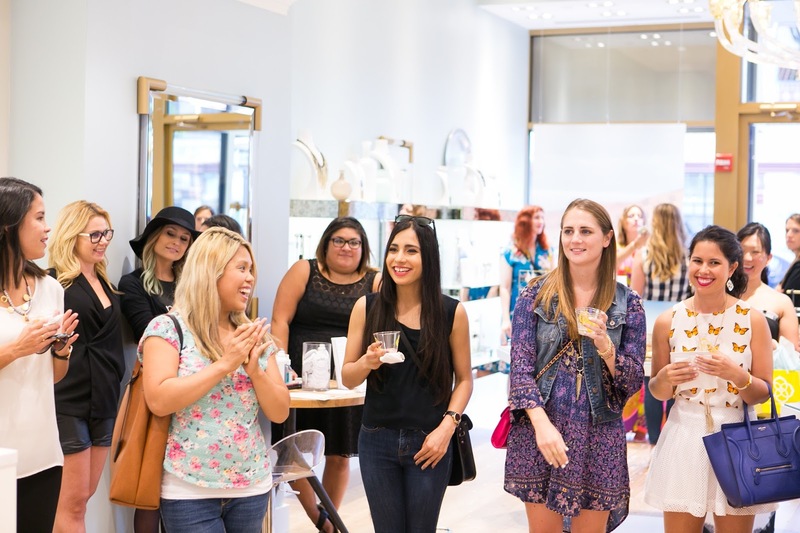 Ultimately these meetups allow other bloggers to get to know brands and KC blogs better. This was my first event despite being apart of the group for over a year- living two hours away from KC makes it hard to get to all the events. 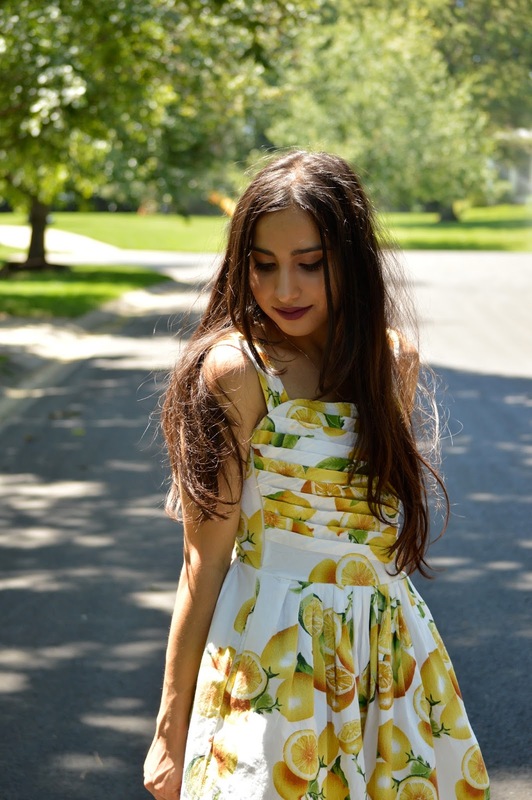 Overall, I had a kickass time. 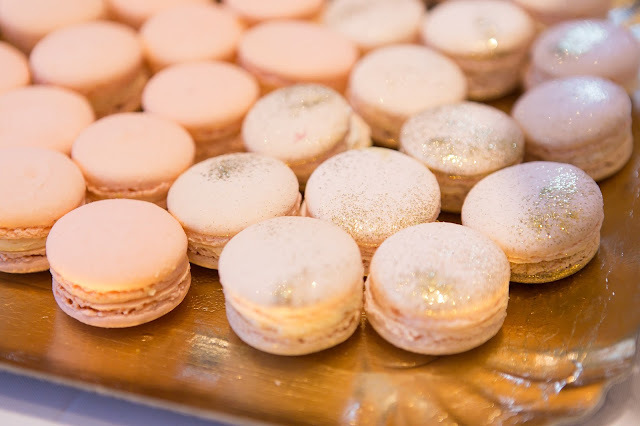 I made some new friends, devoured some delectable macarons (the sparkly ones were the best), got my hair braided (thanks Parlor! 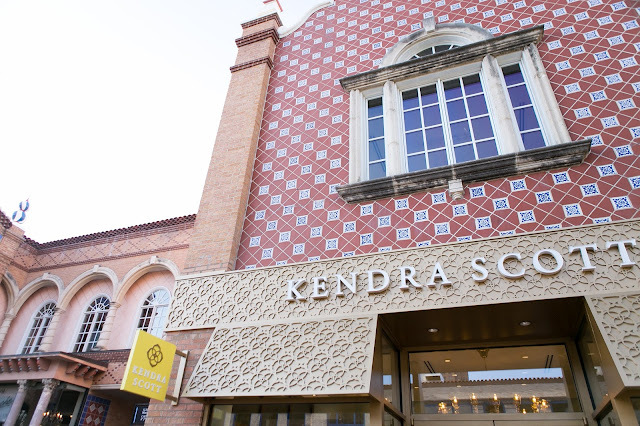 ), and I won a Kendra Scott Rayne necklace in gunmetal (thanks Kendra & the Blog Guild)! 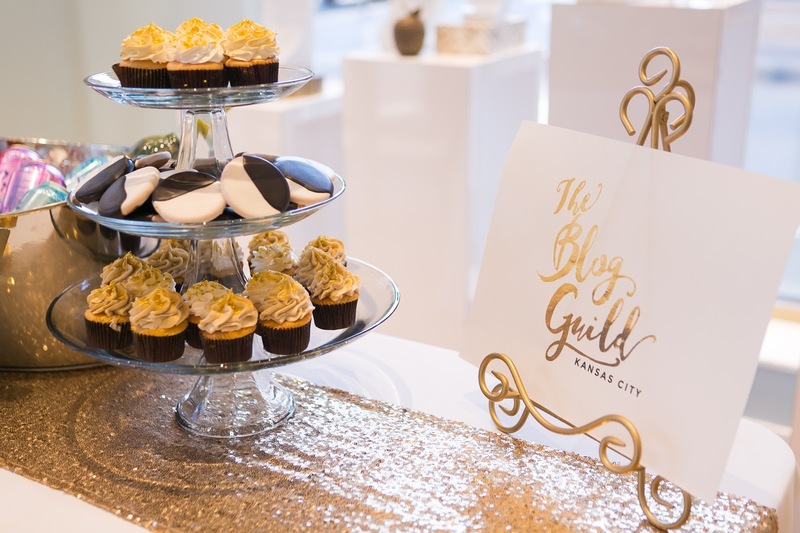 If you are a Kansas City blogger and native I highly suggest you apply and join the Blog Guild. 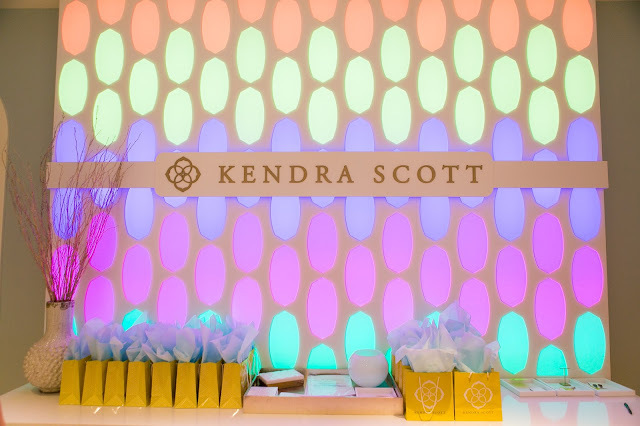 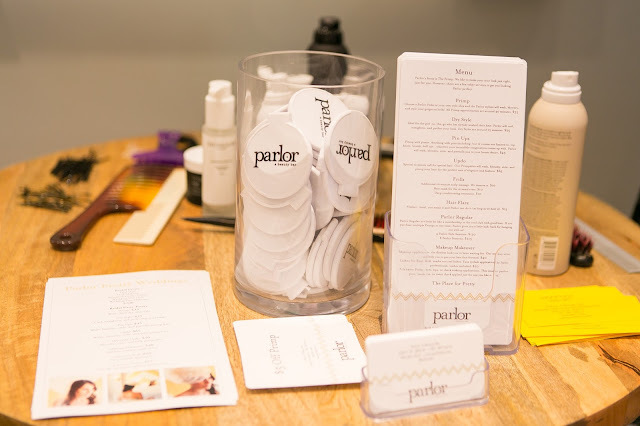 Many thanks to Jana, the staff of Kendra Scott, and the hosts of the Blog Guild. 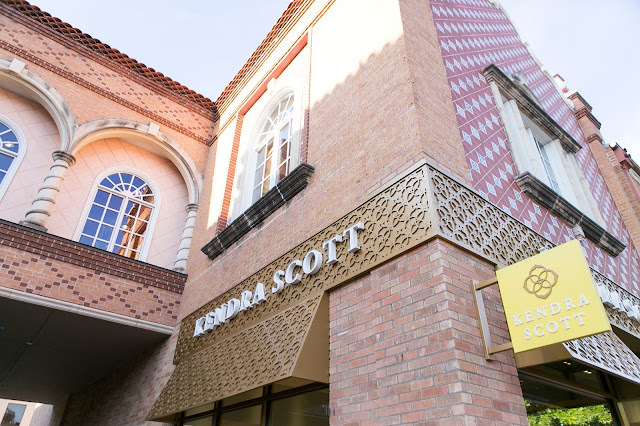 Check out Kendra Scott on the Country Club Plaza here is what I wore and some of my favorites below. 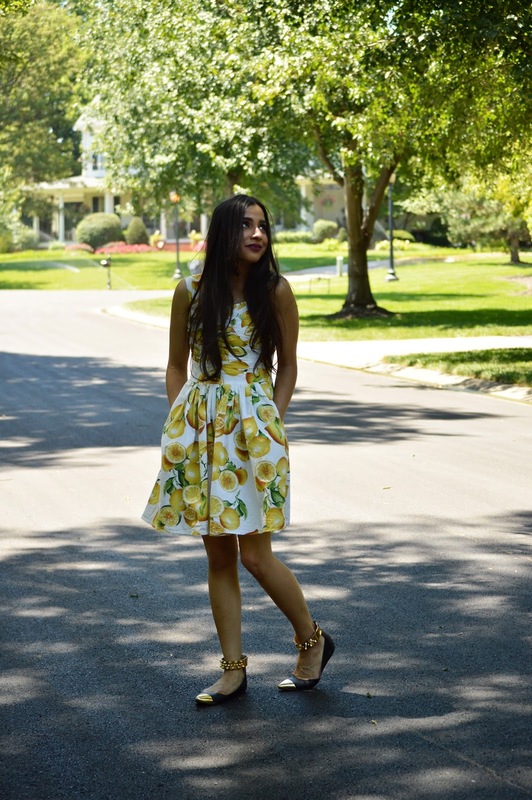 Summer is sadly coming to an end soon my friends, but not without a new haircut and another fruit printed dress! 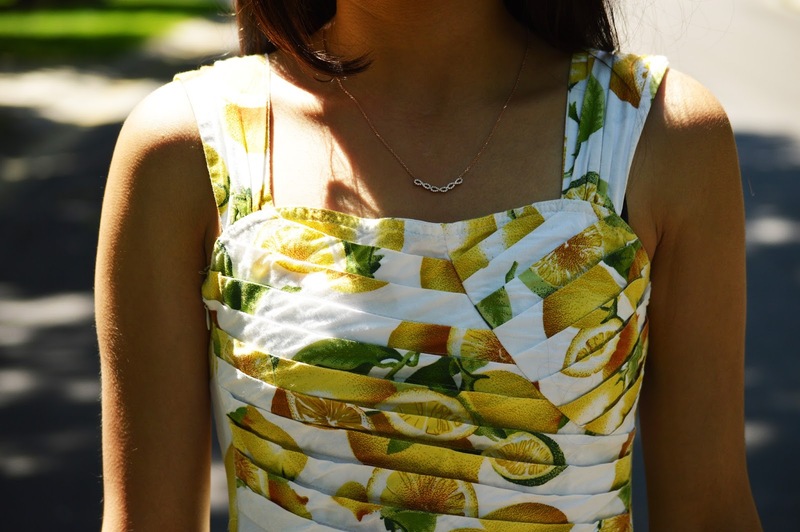 (If you're curious, the next fruit printed dress on my wish list is my favorite fruit, grapefruit). 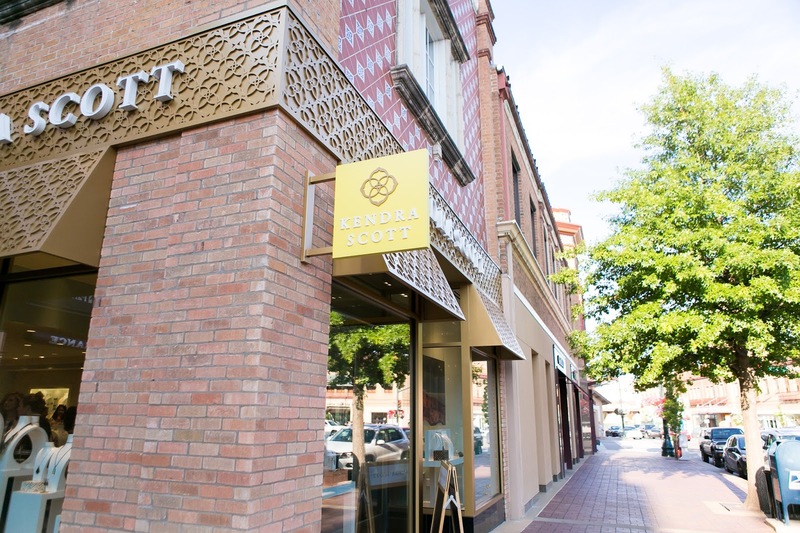 I finally made a visit to my favorite hair salon Paisley & Stripe for a much needed haircut. 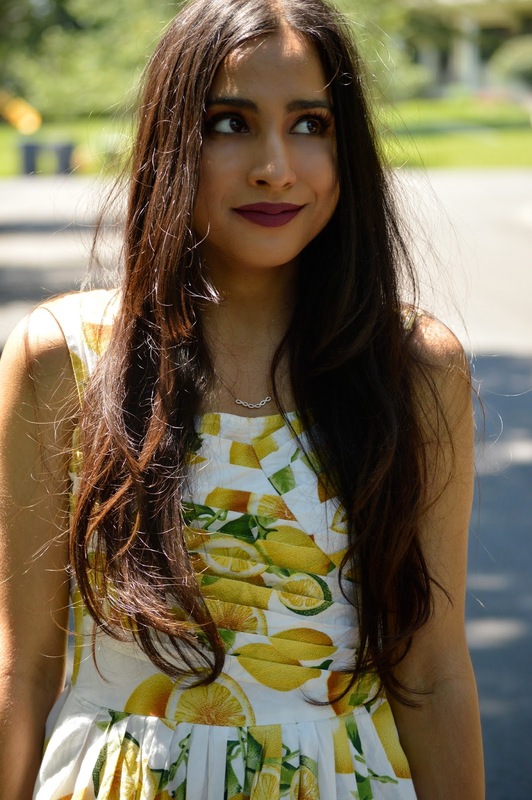 Alex shaped up my hair and we added a "lob" sort of aspect to my mane, although the 100 degree Kansas heat makes it a little hard to notice. 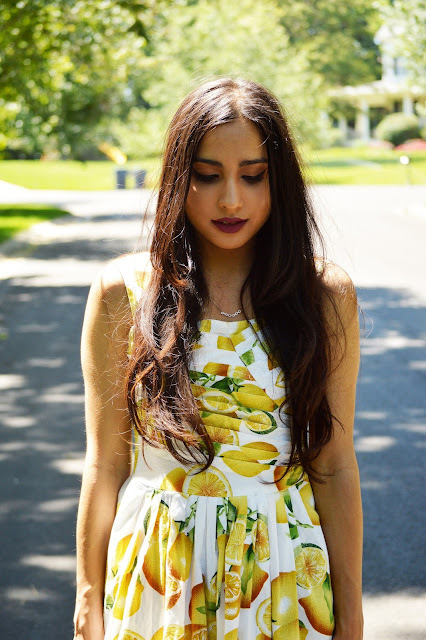 On another note, I'm really sad to see this summer coming to an end. 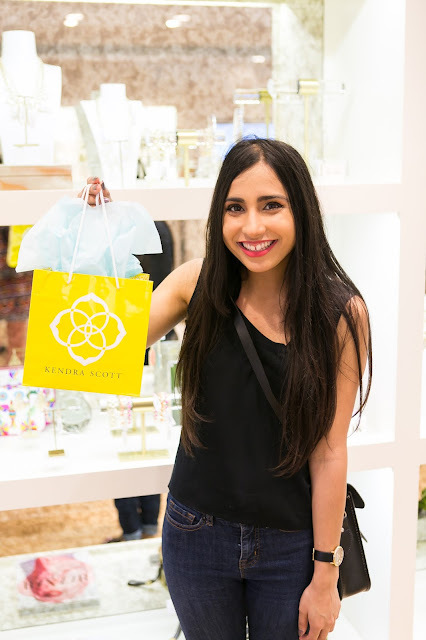 Nevertheless, I'm very excited for the fall, school year, and the rest 2015 has to offer. 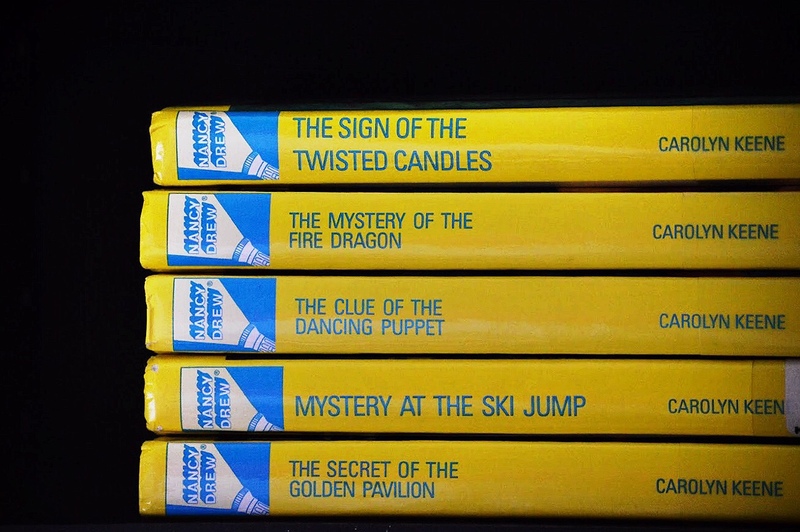 As summer is closing and I've finished my online class, I'm hustling to reread all the classic Nancy Drew books I didn't read when I was a teen. I've read 45/64 thus far! Ever since I was little I always wanted to be Nancy Drew, and as I reread them I yearn to be her even more. 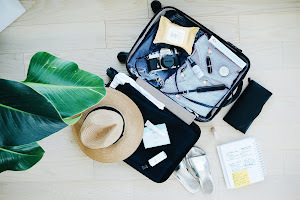 To me, Nancy Drew is truly the ultimate, "It girl." Lets see if I can finish the series on my Starbucks breaks, my cruise to Puerto Rico, and before I head back to uni. 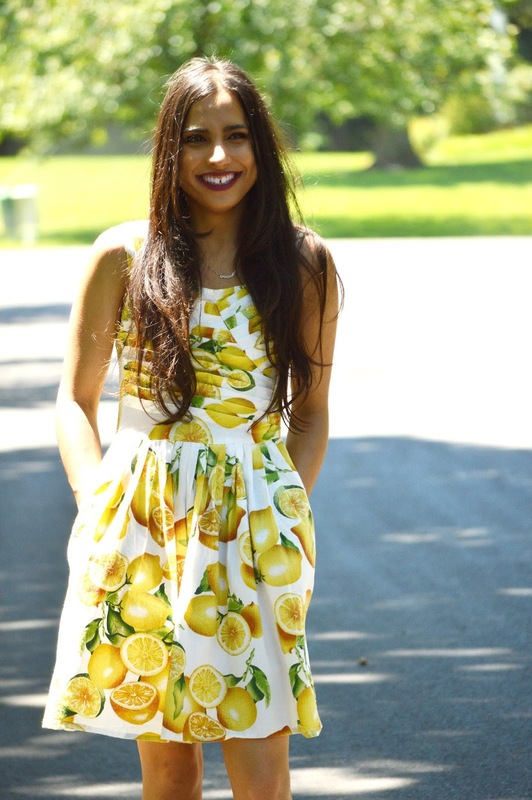 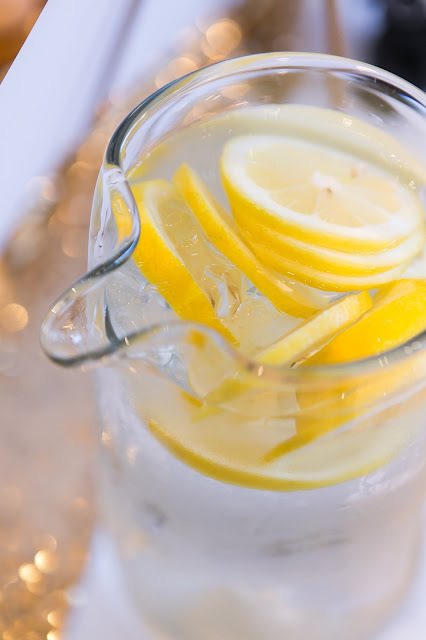 I hope the rest of your summer is filled with lots of smiles & laughs, lemonade, long life talks, and huge iced coffees!